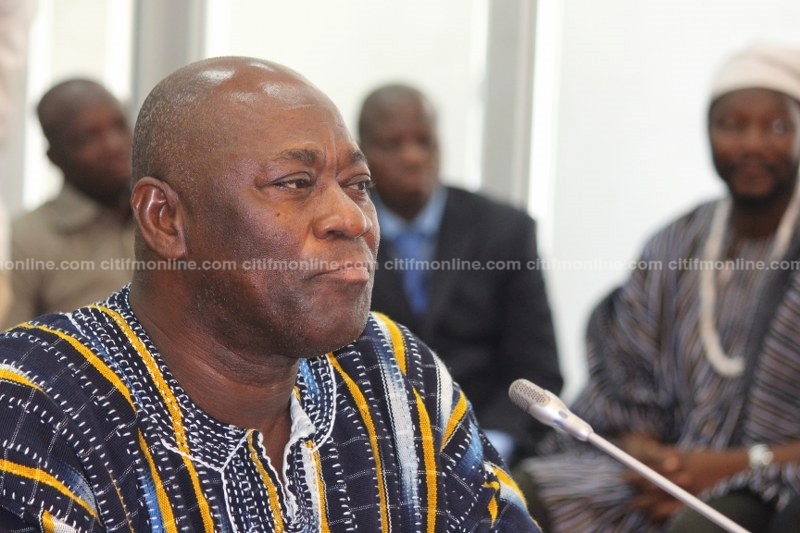 The leader of the Minority in Parliament has described the directive by President Nana Akufo-Addo for the Deputy Upper West Regional Minister, Amidu Ishaq to act in the stead of the suspended Regional Minister, Sulemana Alhassan as unconstitutional. While commending the decision taken by the President to suspend the Regional Minister, Haruna Iddrisu stated that, it was imperative that the President does not breach the Constitution in his effort to address the situation. According to him, the constitution does not allow for a Deputy Regional Minister to act in the absence of the substantive Minister. “We welcome the swiftness of the President’s action against the Regional Minister for attempting to [frustrate efforts] at getting an end to the lawlessness in the country by the masquerading NPP youth in that region and other parts of the country. But the President himself is a respected legal practitioner and must do what is appropriate legally and constitutionally within the meaning of the Supreme Court ruling on the status of deputy Ministers. 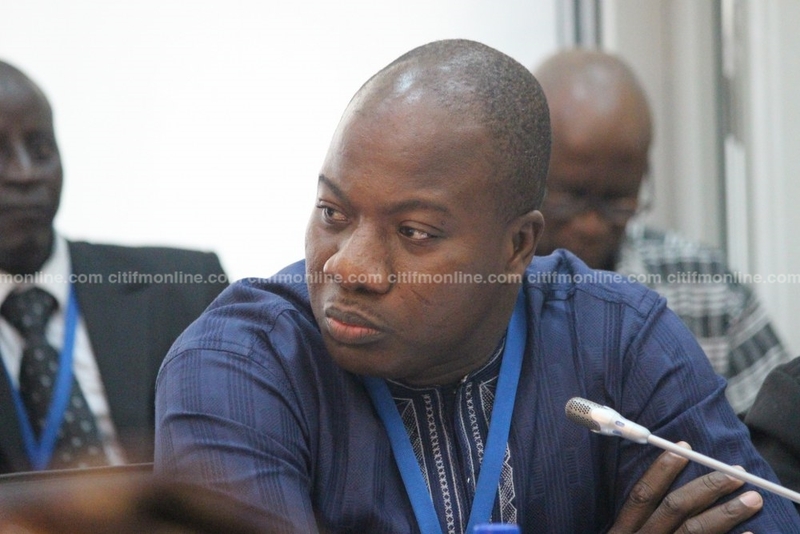 It is wrong in law and constitutionally for the deputy Minister to be asked to acting in the absence of the regional Minister,” Haruna Iddrisu said on Eyewitness News. He believes that the President could direct another Regional Minister to assume the role of acting Upper West Regional Minister until he makes a final determination on the fate of Sulemana Alhassan. The Minister was suspended after he is reported to have protected a group of angry youth believed to be members of the New Patriotic Party (NPP), who besieged the Upper West Regional office of the National Disaster Management Organization (NADMO) on Wednesday evening. The statement announcing his suspension noted that, his deputy will act pending the conclusion of an investigation into the incident. NDC MP for Bawku Central, Mahama Ayariga also believes that the President’s decision to suspend the Minister was unlawful, as the Constitution lays out the procedures for sanctioning a Minister. According to him, the President could have either reshuffled the Minister or dismissed him, while Parliament could also tender a motion for censure against him. “The President didn’t appoint the Minister alone and the President didn’t create the office of the Minister…The kind of public service positions where you can exercise disciplinary control such as suspension from office are different from Ministerial appointments. In the case of Ministers, there are mechanisms for dealing with them such as a vote of censurship by Parliamentarians or the President reshuffling a Minister or dismissing a Minister outright. The President cannot suspend a Minister. He has to show us specifically under which provision of the Constitution he’s exercising the power to suspend the Minister,” he said. Mahama Ayariga hinted that, he might head to court to ensure that finality is brought to the matter, if the President does not reverse his decision. Haruna Iddrisu however appeared to disagree with this school of thought from his colleague, stating that the President deserved to be commended for taking the decision and allowing the Regional Minister to be heard before making a final decision. He added that it was necessary for the processes initiated by the President to be allowed to proceed. “You have to look at it within the larger context of the public service and I welcome the swiftness of the President’s action. He wants to deal with the crippling lawlessness in the country led by NPP youth and we should commend him for that. The President is allowing the Minister to be heard on the merits of the issue and is allowing, in the meantime, an investigation in the action. Probably that is why he chose the word suspension. The President can exercise the power of revocation, but has asked for an investigation into the matter, let’s allow the process to roll out,” he noted. 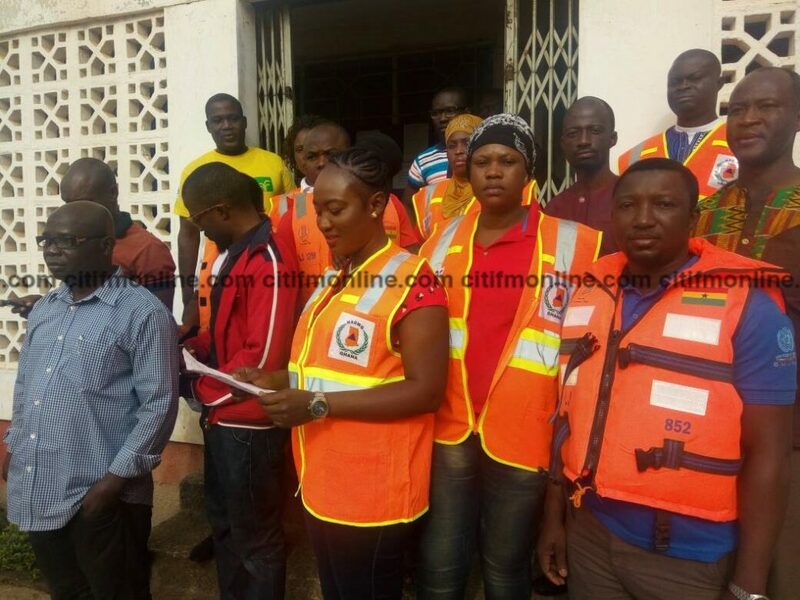 At about 5:00 pm on Wednesday, the youth from the Wa East district, numbering about 30, arrived in two pickups and a minibus, and stormed the NADMO offices at the Upper West Regional Coordinating Council. After the police got to the scene of the disturbances and effected the arrest of three persons, Alhassan Suleiman ordered the release of the suspects. He reportedly told the police that ” This is a party matter, I will have a meeting with them and get back to you”. After that, the attackers walked home freely. Following the incident, workers of NADMO declared a strike today [Thursday], and demanded that until the suspects are arrested, they will not return to work. They said the Minister demonstrated no value of their lives, as the attack on the offices of NADMO led to an aide to the NADMO Regional Director being beaten to pulp. The Regional NADMO Director, Isaac Seidu, who appeared to be the main target of the attack, however escaped unhurt.